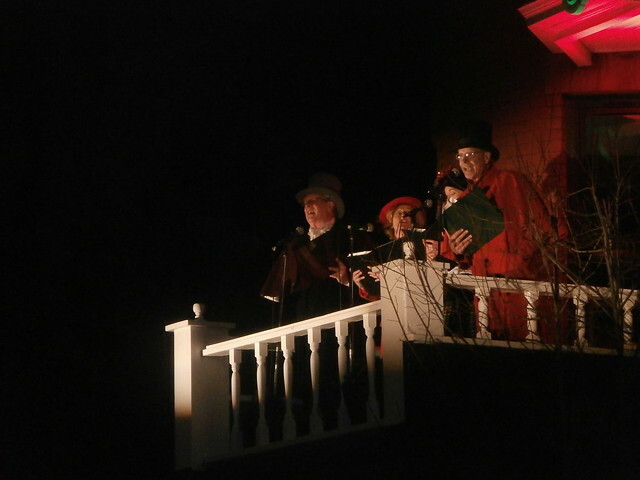 Last Sunday, I once again took advantage of the opportunity to enjoy one of the most cherished annual Aspen holiday events – the annual Sardy House holiday tree lighting. Occurring before the big winter holiday tourist rush, this festive event kicks off the holiday season in Aspen for the locals. It features free homemade cookies and hot chocolate, live music, and a visit from Santa and Mrs. Claus. 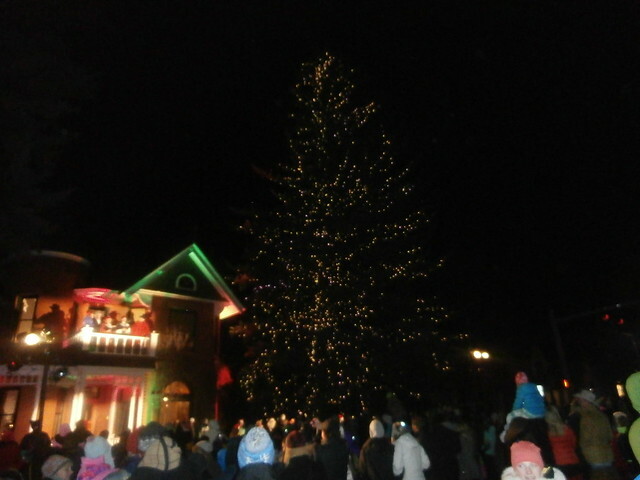 It, of course, culminates in the lighting of what is believed to be one of the tallest live Christmas trees in the nation. This annual Aspen holiday event takes place at the historic Sardy House located on Main Street, across from Paepke Park. An “official” city event since the early 1980’s, the tradition was really started informally years before by longtime owners of the house (and namesakes of the Pitkin County Airport’s “Sardy Field”), Tom and Alice Rachel Sardy. 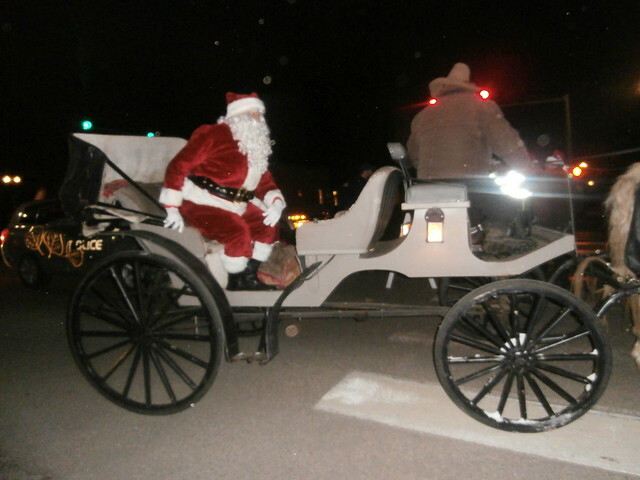 As usual, Santa and Mrs. Claus made their way to center stage by the tree via a horse-driven sleight (too warm for reindeer) while the musical acts entertained. This year, these acts included performances by the Local Vocals Victorian Carolers, the Aspen Police Band, the Aspen School District Band, the Aspen High School A Capella Club and the Basalt High School Chamber Choir Repertoire. 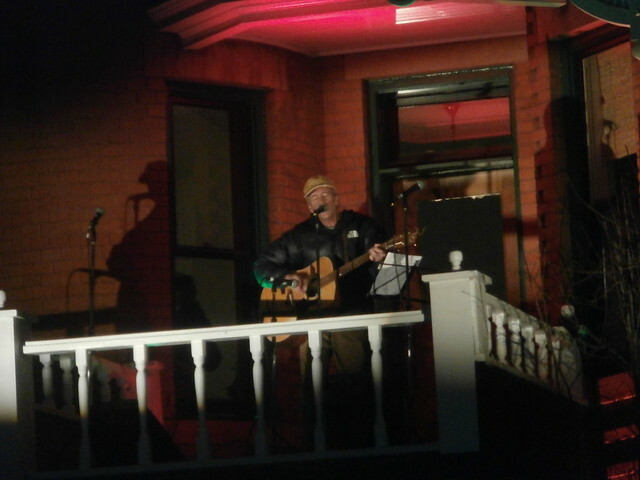 The musical entertainment was capped off by my friend, Dan Sheridan, playing guitar and singing some soulful, holiday and Colorado-oriented tunes. He even threw in one of my favorite originals, “Small Town Love”. 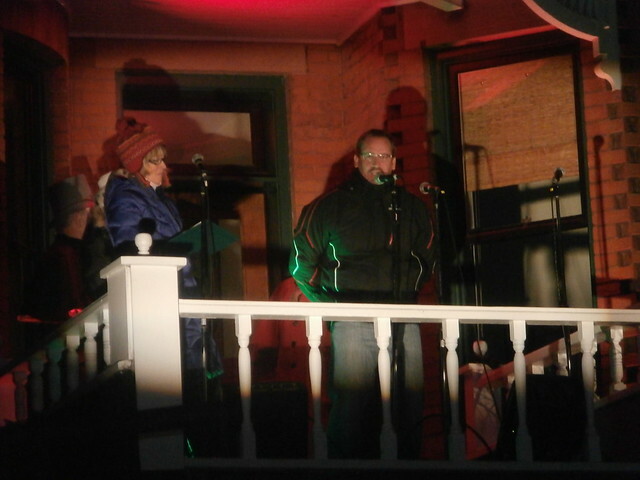 Finally, another friend, Erik Klanderud, Director of Member Services at the Aspen Chamber Resort Association, took the stage to light the tree in honor of the memory of his mother and former Aspen Mayor, Helen Klanderud, who sadly recently passed away. I don’t know how many of these events and activities I will be able to make, but I do plan on attending the Aspen Choral Society’s annual performance of Handel’s Messiah. As usual, the ensemble will be comprised mostly of local musicians and singers, complimented by some professionals from outside of the Roaring Fork Valley and even out of state. 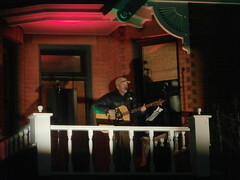 Just as with the Sardy House Christmas tree lighting, I usually know many of the local performers, which for me is what makes these Aspen holiday events so special. Things to do in Aspen (Besides Skiing) - Community Theatre's a Hit!